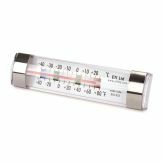 ETI (Electronic Temperature Instruments), is a digital thermometer manufacturer, producing digital thermometers, catering thermometers, moisture meters, pH meters, dataloggers and other related products from their base in Worthing, East Sussex. 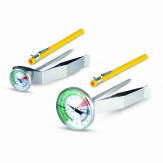 As a dominant supplier of digital thermometers to the catering sector, ETI has developed a strong reputation globally, as a leading manufacturer and supplier of quality and value for money instruments for a wide range of applications. Visit ETI's official website here for more information about their products and services.